Handmade Easter gifts for kids can be simple, small and inexpensive. Bright colors and edible decorations help add a sweet flavor to Easter gifts for kids and create colorful, festive and interesting Easter gifts presentation. 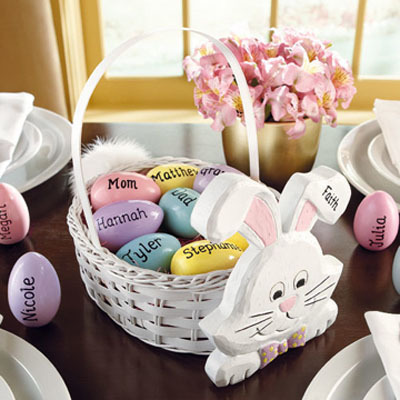 Creative Easter craft ideas are a smart way of preparing very special and personalized handmade gifts for kids. 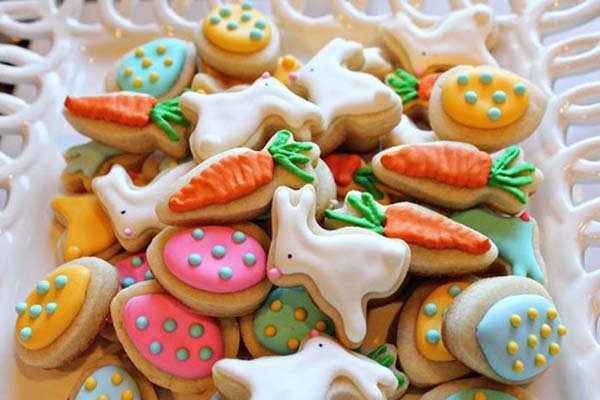 Delightful edible decorations, like cookies and candies, and terrific handmade Easter gifts are great choices that bring fun, smiles and happiness, creating festive spring holiday for everyone. Handmade Easter gifts are a way to celebrate Easter in relaxing and family-oriented style. Easter is the time of new beginnings, whether your idea of Easter is a day of religious renewal or a day to chase the Easter Bunny down with all his baskets and eggs and have fun with friends. 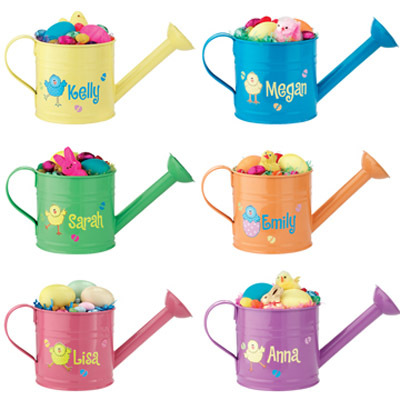 Easter baskets, small watering cans and boxes, soft toys and small buckets, filled with edible decorations, Easter eggs, candies and small toys are wonderful Easter gifts and party table decorations that will make your Easter unforgettable and happy. With so many Easter eggs decorations, party table decor ideas, Easter gifts for kids and adults, possibilities are unlimited. Traditional handmade Easter gifts for kids and adults are the warmest and most personal way of celebrating this beautiful spring holiday with joy and love, surprising your family and friends and showing your creative side. The ideas for designing handmade Easter gifts for children are easy to find if you just keep looking, noticing the fun ways to make simple Easter decorations and toys. Handmade Easter baskets, small watering cans and boxes, soft toys and small buckets, filled with edible decorations, Easter eggs, candies and small toys are excellent Easter gifts for children that will enjoy playful characters, bright colors and sweet treats.